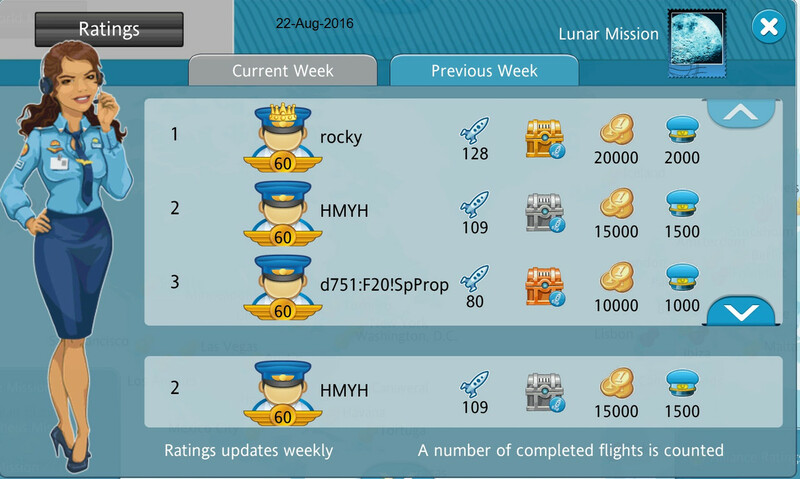 I create this thread to let you share your top 3 only in weekly rank screenshot in flights and launches during the years by post a screenshot to approve it. 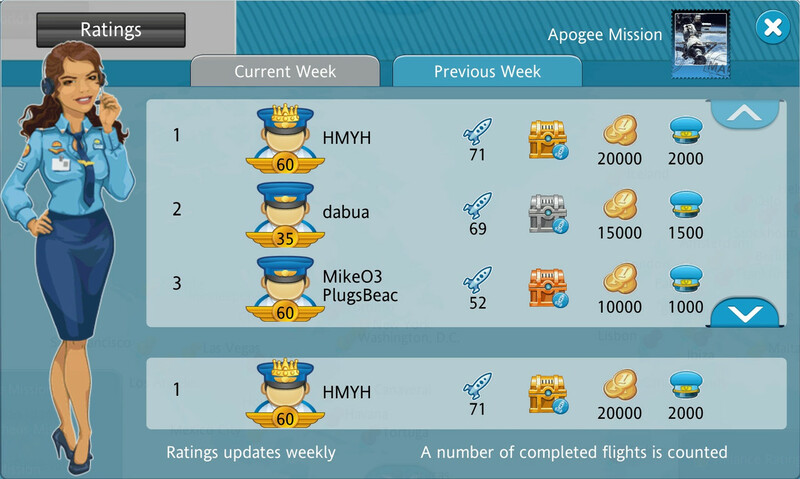 here some screenshot for my accounts that been in top three weekly rank. Agent_L, AMG and Dafsade like this. AMG and Dafsade like this. 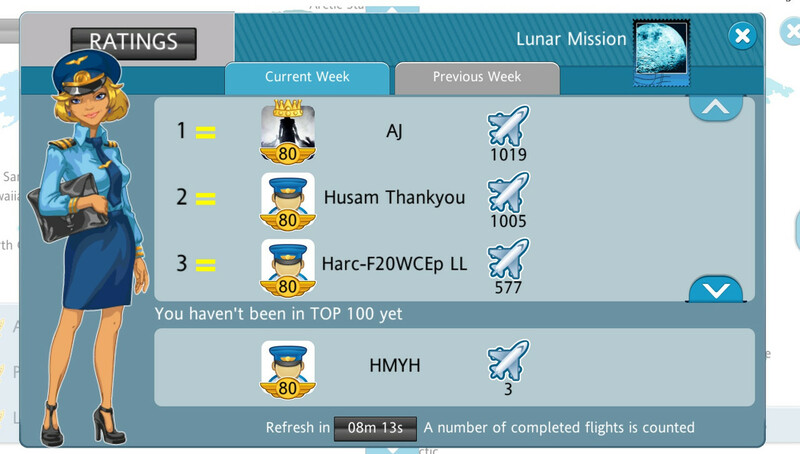 The real reason let me take a screenshot every time when i reach the top three weekly rank because in 29.8.2016 i was in top 3 weekly rank but not show my rank the Gi was make that time the connecting between windows players and android and IOS something happen in the server look to the screenshot and you will understand by the way Gi gift me the chest for both launches. Great performance ! Congrats ! ! I will post TOP3 when I will be in TOP3 ! 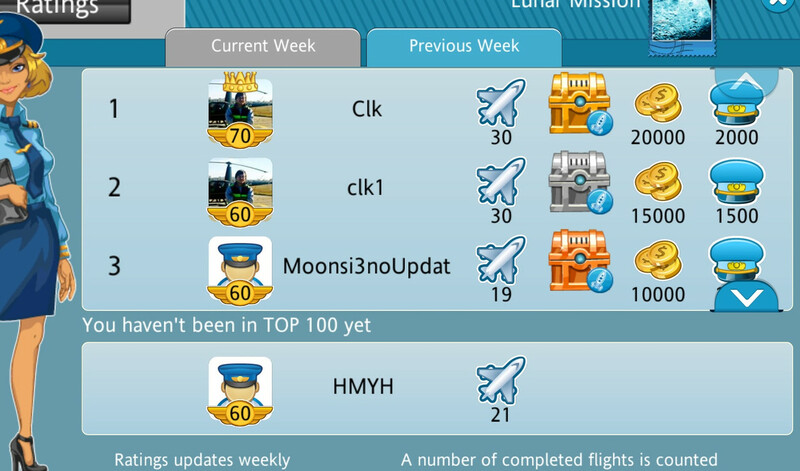 But, for the moment, I was 8th to North Observatory ! Husam and AMG like this. 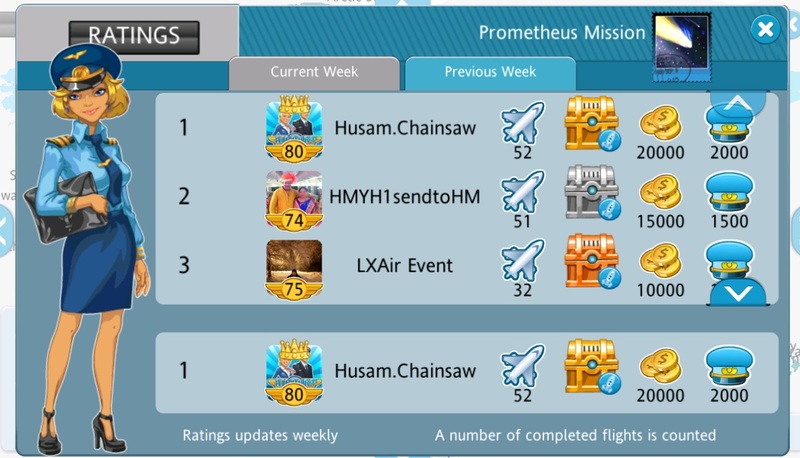 Congratulations @Husam for all Top 3 Rank you achieved . 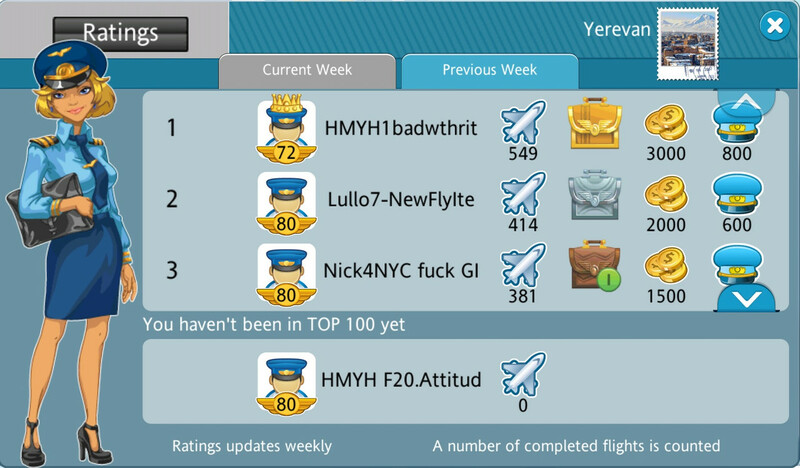 I achieved some top 3 but erase it . Good idea to post screenshot. I will start to take screenshot when hits top 3 and post here . Husam and Dafsade like this. Madge59230 and Husam like this. 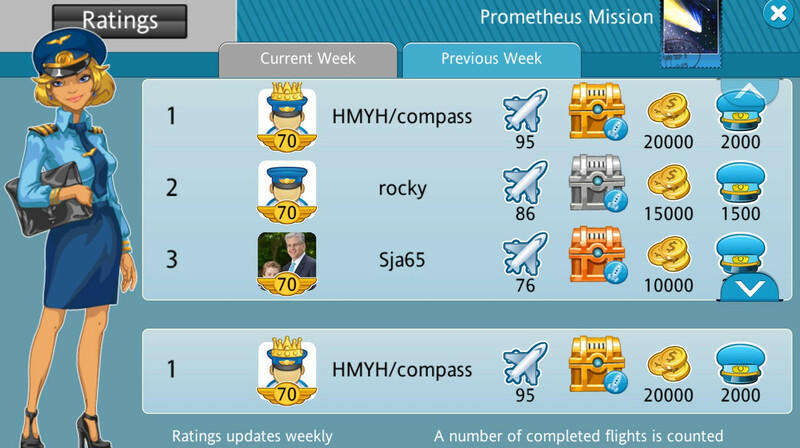 WooHoo Got a couple of rewards this week! Agent_L, Teboho, Husam and 3 others like this. 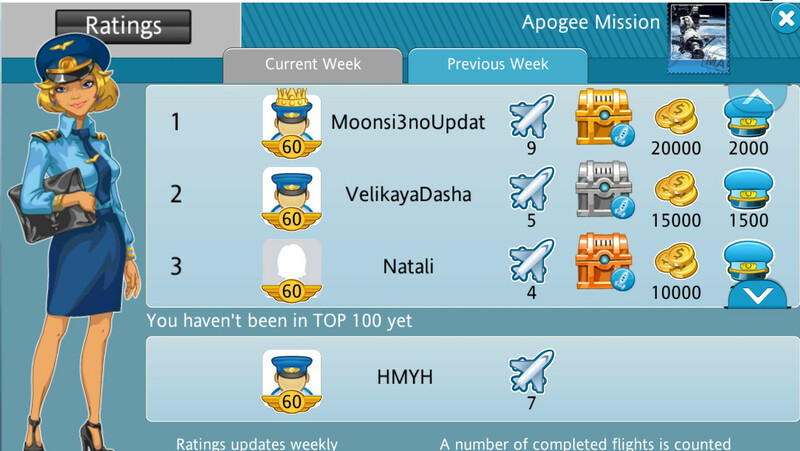 Agent_L, Husam, Anton01 and 2 others like this. Quite proud of this one! Harcourt, crescent moon, Teboho and 2 others like this. Teboho, crescent moon and Dafsade like this. Wow ! ! Congrats ! ! You beat Mitlain ! ! 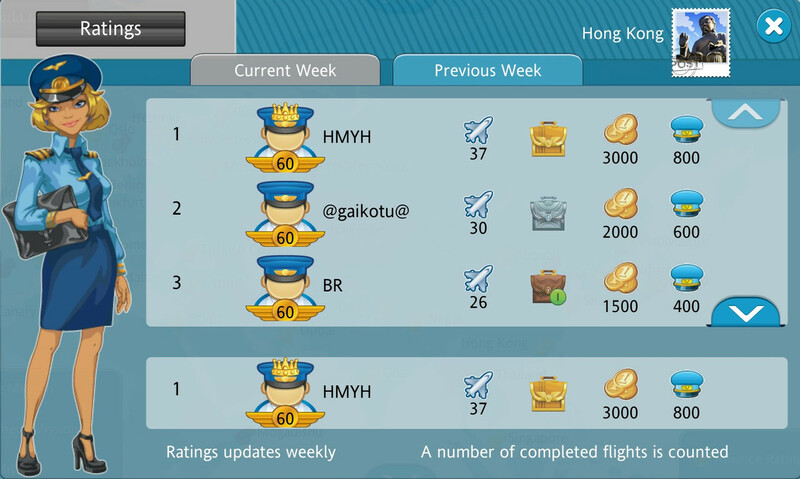 Did you get around 10 items from those 972 flights ? No! They are very rare indeed. Got 4 but needed spyglass and sky captain on it at the beginning. Thankfully only needed one for the 10. Just 2 for Pattaya. getting myself confused. That was Egypt. Items drop like flies. Got loads of drops - cats, hat's, etc. Not alliance flight. Teboho, Harcourt, crescent moon and 1 other person like this.